Standard Room, breakfast and hotel taxes. Arrive to Guatemala and transfer to your hotel. Lodging: Antigua Guatemala. Breakfast. In the morning we will enjoy a three walking hour tour in Antigua Guatemala, we will visit The Cathedral, Central Square, La Merced Church, Tanque La Únion. Transfer to the airport to take your flight to Petén (TICKET INCLUDED). Transfer to your hotel. Lodging: Petén. Breakfast. 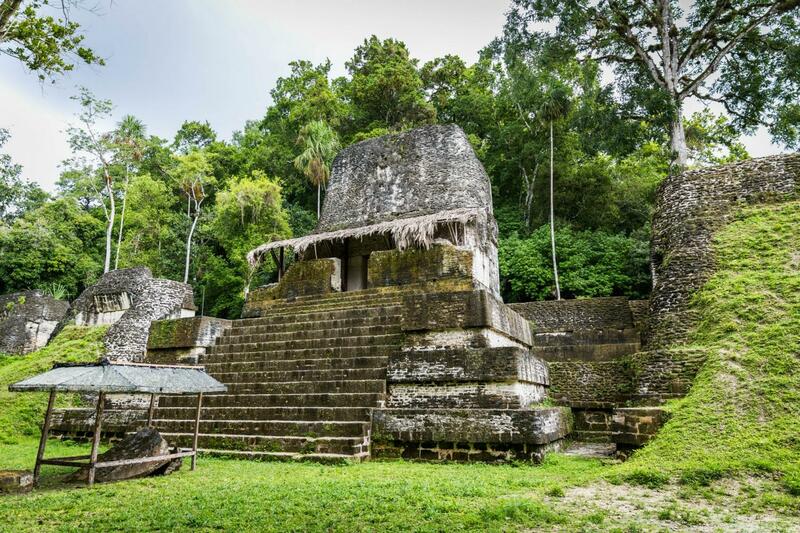 In the morning, guided visit tour of Tikal National Park, declared a "World Heritage Site" by UNESCO. This majestic Mayan city is considered one of the largest and most monumental of all sites discovered in the Mayan World. With a walking tour of the squares, monuments and major temples, also enjoying the rainforest, home to hundreds of exotic birds and a wide variety of wild animals. Lunch (included). At the ends of the tour will be provided the transfer to Mundo Maya International Airport, for flight back to Guatemala City. Lodging: Guatemala City.